On your arrival in Porto, we will welcome you at the airport and transfer you to your first hotel. Depending upon your arrival time, enjoy a private guided walking tour of the historic center of the city, ‘Old Porto’, with visits to Palácio da Bolsa and S. Francisco. Spend the day exploring greater Porto – perhaps visit Casa da Musica and the Serralves Museum? Wander back through the center of the city to the Ribeira, on the banks of the Douro River. 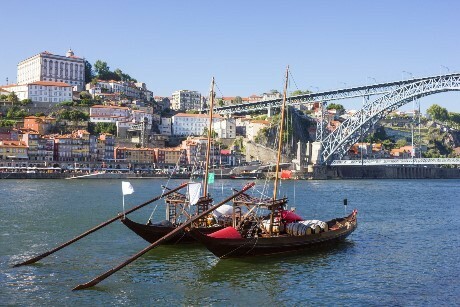 Walk across the bridge for a visit a port cellar or two, and end the day with an evening cruise on the Douro! Viana do Castelo was an important town in the age of discovery, being on the coast, and the resulting wealth led to a town filled with manor houses in the Renaissance, Baroque and Manueline styles. With a semi-pedestrian center, esplanades along the water, this is a lovely base for your next two nights. Visit the far northernmost part of the country, up to the border with Spain. Ponte de Lima and Ponte da Barca are both picturesque tiny towns on the River Lima, with Roman bridges spanning the river. Ponte de Lima is known as Portugal’s "Most Floral Town", with a Garden Festival from May to October each year. And Ponte da Barca is rumoured to be the hometown of Ferdinand Magellan, where you might still see the family crest. In the far north of the country, Valença do Minho, sits on the Spanish border. This fortified fortress town set high above the river, and looking into Spain, was the first line of defence against the Spanish aggressors. Next stop, Guimarães, considered the “birthplace of Portugal” as it is believed Portugal’s first king was born here. Another World Heritage site, in this charming medieval town, with a pedestrian center, you will really feel ‘Old Europe’. Meandering cobbled streets, colorful architecture, flower filled window boxes, and lots of sidewalk cafés and restaurants. Visit the tiny 10th C. castle, built to protect against the Moors, and the 15th C. Palace of the Dukes of Bragança, used even during the Salazar era, or take the cable car to a beautiful park overlooking the town. If you are interested, nearby there is an archaeological site from a Celtic settlement dating from 300BC to 300AD. Gerês – Gerês National Park, is 700 sq km (270 sq mi) of wild and incredible landscapes set against the border with Spain. 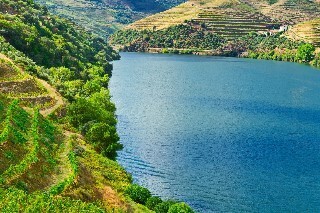 It is one of Portugal's 7 Natural Wonders. Enjoy a tour with our local guide, with or without a hike or walk, to orient you. Afterwards, explore the park on your own – the Roman road that crosses the forest, the wild ponies indigenous to the park, the peat bogs, rocky summits, and medieval castles. Every turn will provide a more extraordinary view. Leaving the Minho, continue into the Douro Valley. On the way, make a stop for a tour and tasting at a beautiful estate producing the crisp Vinho Verde (green wine). 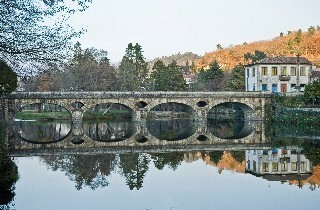 Next, stop in Amarante, home to São Gonçalo, Portugal’s St. Valentine. Wander through this charming town set along the Tamega River, take a stroll along the willow-lined riverbank, and enjoy lunch at a café before taking a splendid scenic route into the Douro Valley. Spend the day in the valley. Tour a family run winery followed by a tasting, then lunch. Then stop at another for a spectacular view high above the valley floor, take a drive up through the hills, and conclude with a 2 hour afternoon cruise on the river, along the most beautiful part of the river. On the return to Porto, stop in the town of Lamego, on the southern side of the Douro River. Here, climb the stairs of the magnificent baroque Sanctuary of Nossa Senhora dos Remédios, a staircase of hundreds of steps decorated with tiles, fountains, and statues. Visit the town museum, set in the 18th C. Bishop’s palace, and visit one of the best producers of Portuguese sparkling wines. Return the rental car on your arrival in Porto. Transfer from your hotel in Porto to the Porto airport.